Weber Shandwick joined by eight other Global Agencies of the Year: Zeno, Joele Frank, MullenLowe, BlueFocus Digital, GCI Health, Hanover, Harvard and Vested. MIAMI — Weber Shandwick was named Global Agency of the Year in Miami last night, following an unprecedented clean sweep of the Holmes Report’s regional Agency of the Year honours in 2017. 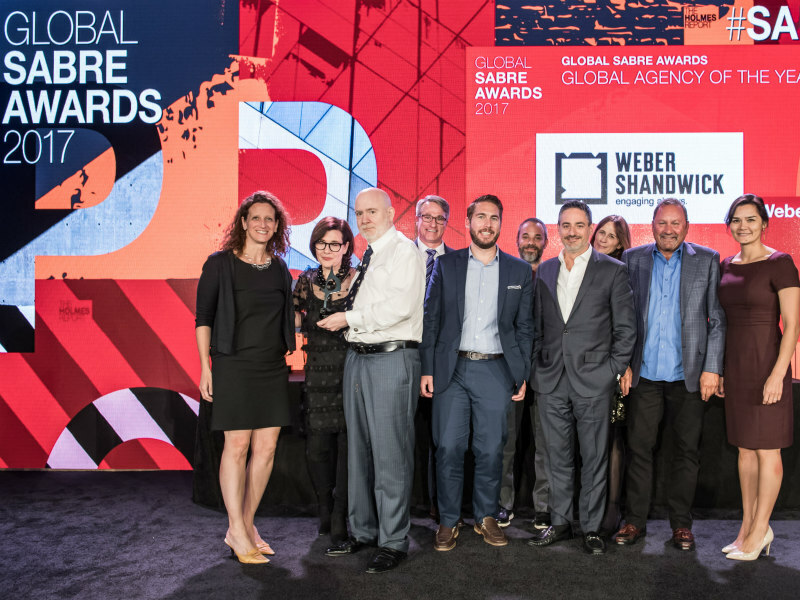 Weber Shandwick, which was previously named Global Agency of the Year in 2015 and 2014, had already won Agency of the Year honours in North America, EMEA and Asia-Pacific this year. So, while last night’s coronation was unsurprising, it remains a remarkable achievement. Meanwhile, there was also Global Agency of the Year recognition for eight other agencies. You can find the full analysis here or via the list below. The 2017 Global PR Agencies of the Year are the result of an exhaustive research process involving more than 400 submissions and face-to-face meetings with the best PR firms across North America, EMEA and Asia-Pacific.